Cook chicken tenders according to package instructions. Using a serrated knife, cut the sheet of rolls in half. Place the bottom half into a greased casserole dish. 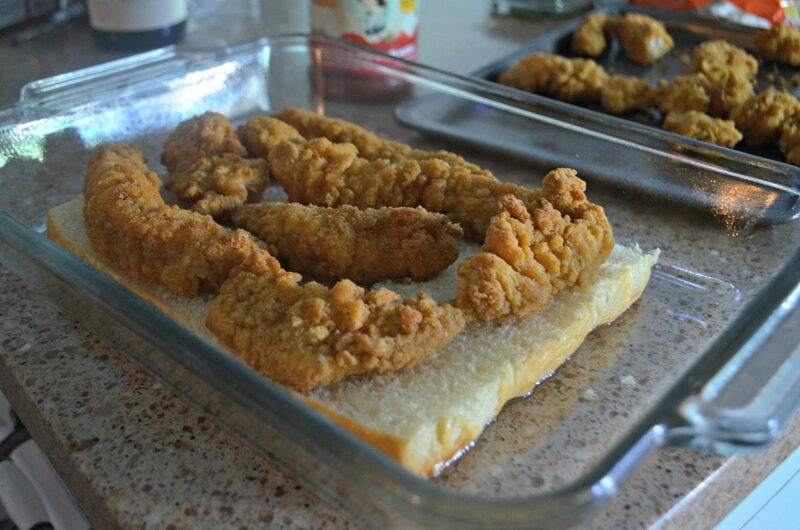 Place tenders in one layer over the rolls. Add both mozzarella cheese and Parmesan cheese on top of sauce. Place the other half of the rolls back on top. Place in the oven to bake for about 15-20 minutes until melted and browned. Be careful, as mine were almost too browned. Garnish with fresh chopped basil and cut individual sandwiches to serve. Makes 12 mini sandwiches. What’s not to love about crispy chicken covered in marinara sauce and cheese – as sliders?! Yup, there’s a way to combine all these yummy components into crowd-pleasing mini party sandwiches! 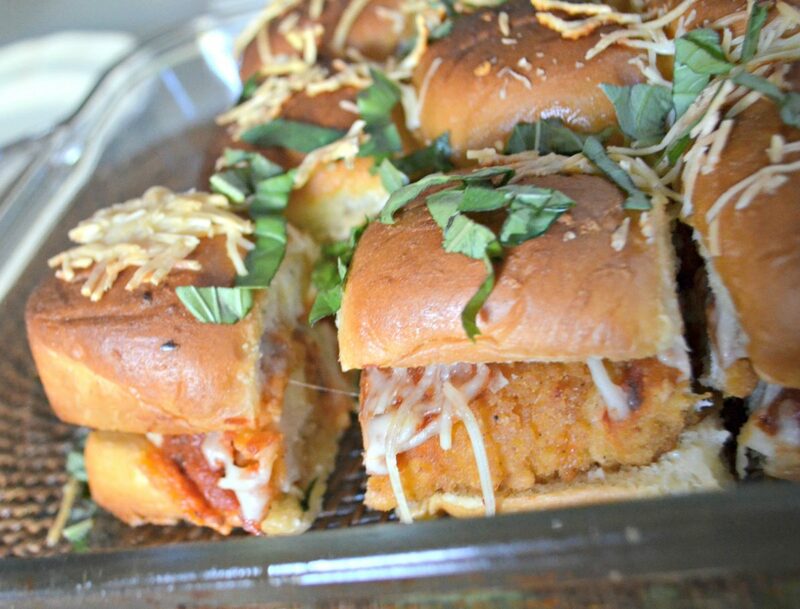 You’ve gotta check out this easy and delicious idea and turn a bag of chicken tenders into these yummy crispy Chicken Parmesan Sliders! This simple crowd-pleasing idea is so adaptable! I love that this recipe can be changed up and customized in so many ways. 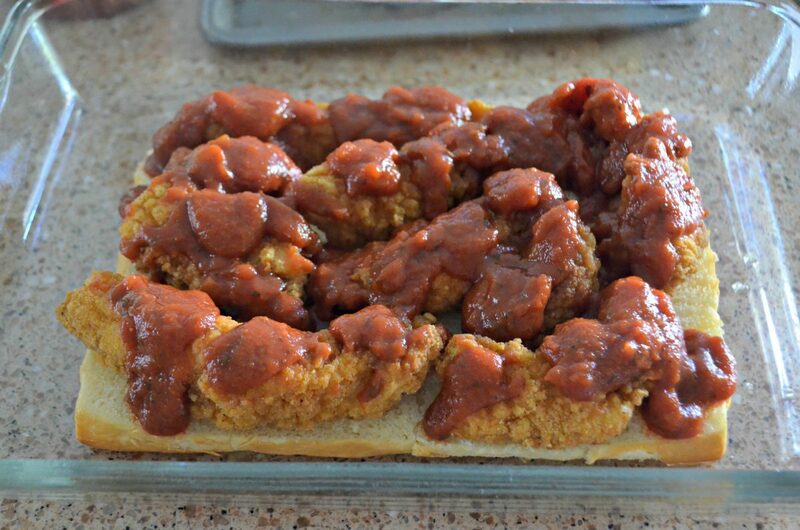 I used a bag of frozen chicken tenders for that awesome crunch, but you can use nuggets or create your own homemade chicken tenders for this recipe. If shredded chicken sounds more appealing or more convenient, then use that. Also on the cheese and marinara sauce, use my recipe as a general suggestion and add as much as you’d prefer. You can also use sliced provolone or another type of cheese. Pepperoni would be yummy added to this idea as well. 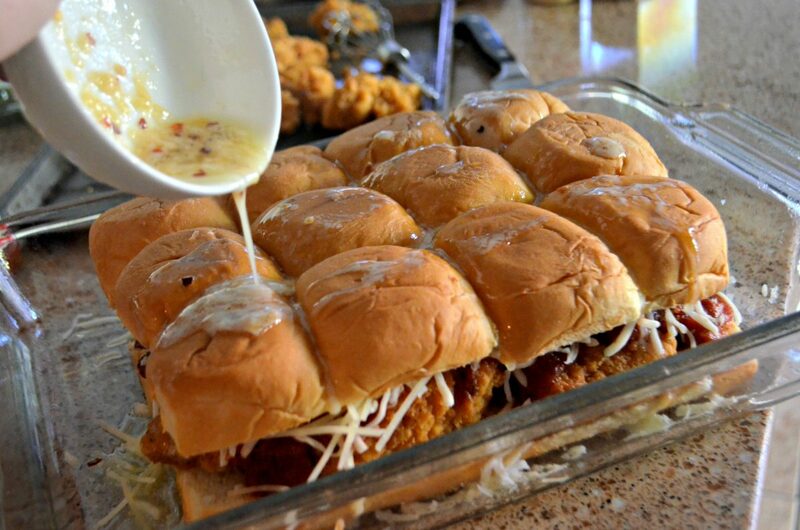 Build the ultimate gooey & cheesy party sliders with crispy chicken and dinner rolls! I served them for dinner with a large salad and my family LOVED these melted sandwiches. You can also serve them as a yummy appetizer instead. The crispy tenders with melted cheese and buttery rolls were YUM! I love sliders! I make something very similar…I spread garlic herb mayo onto 1 side of the rolls, layer sliced deli turkey and sliced Muenster on top, and then pour a mixture of a pinch of poppy seeds, melted butter, and onion powder over the top of the rolls. I cover w/ with foil and let sit for 10 minutes, then bake at 350 for 10 minutes. Remove foil and cook for additional 2 minutes (to brown the tops slightly). They’re SO good and a huge hit at get-togethers! Yum! Sounds great – thanks for sharing! These look so yummy! Just out of curiousity, what brand of chicken tenders did you use? I believe they were Tyson – freezer section. These look yummy! If I need a quick meal, I make a similar chicken parm recipe. I use the tyson southern tenderloins, sauce on top, sprinkle parmesan cheese, slice of mozzarella on top of spaghtetti noodles. Easy and quick meal for a busy day! This recipe is Keto Friendly right????? LOL JK JK !!!!!!!! Aw thanks! These do taste amazing! YUMMY!! Definitely will try this week! Ok this is weird because I just made these for the first time the other day and they were a hit! So good! 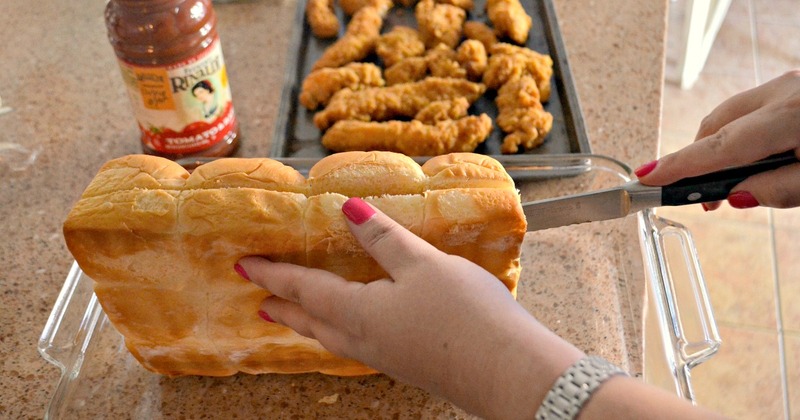 Making this tonight on clearance garlic bread! Wahoo! Thanks for the idea! I made this last night for my family. It was so easy and everyone really enjoyed it! My 3 year old took her first bite and said, “mom, I love this!” My 6 year old gave it a 86 out of 10. We need to work on the rating scale so I understand how much she really loved it but she ate it all so I’m happy! Thanks for sharing! Lol that made my day! Thanks Ashley!